A new package it received. To even brew a cup of tea. “Protein Ice Cream on my Oats! to his oatmeal, what a wizard! 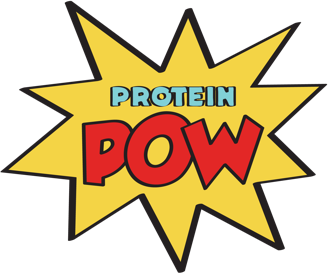 A protein blast, a nommage blizzard! 1. Place the milk, oats, stevia, and cocoa powder in a pot and heat it up until your desired oatmeal (or porridge) consistency is reached. Some people like their oatmeal super thick while others don’t so just stir it until it gets to where you want it. 2. Once cooked, remove the oatmeal from the stove and let it cool for a couple of minutes before mixing in your whey. The reason it’s best to add the whey AFTER the oatmeal is made is because you want to ensure the whey doesn’t cook because, if it does, it can get all lumpy and we don’t want that – we want our oatmeal smooth and creamy. 3. Get some protein ice cream out of the freezer. I used Whey Hey! but if you don’t have access to it for some reason remember you can always make your own (here are a bunch of my recipes showing you how, oh and here’s one of my bodybuilding.com columns talking about protein ice cream too). I personally love Whey Hey! and I’m really excited because, as you guessed, the monster in the story above is me and I did indeed get a box full of Whey Hey! this morning! 4. Eat it. Eat it as the ice cream melts into your oats and the whole thing just WAAAAA!!!! !